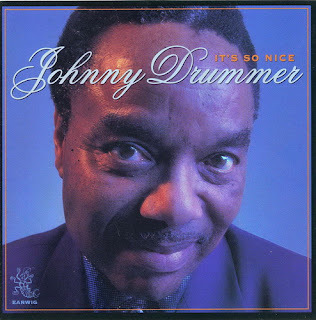 The debut disc of bandleader, keyboardist and vocalist Johnny Drummer is filled with solid contemporary soul, blues and R&B music, well-played and sung. And well crafted, too, as Drummer (real name: Thessex Johns) is also quite a songwriter, turning in a dozen of the 14 tunes collected on this outing. His knack for a catchy phrases and lyrical hooks coupled with funky grooves and solid instrumental mixes makes this album a real sleeper. Highlights include "I Wanna Get in Your Head, Before I Get in Your Bed," "I'm Not Gonna Give You Up," "Knockin' at Your Door" and the title track. Jimmy Johnson guests on two tracks, but equally notable is the lead guitar work of Jim Simms. A good one for fans of soulful music and mood music lovers as well.